It can be intimidating if you’re starting road cycling. Besides buying the road bike, you’ll soon realize that there are many other things to buy. Among them are accessories and cycling clothing. 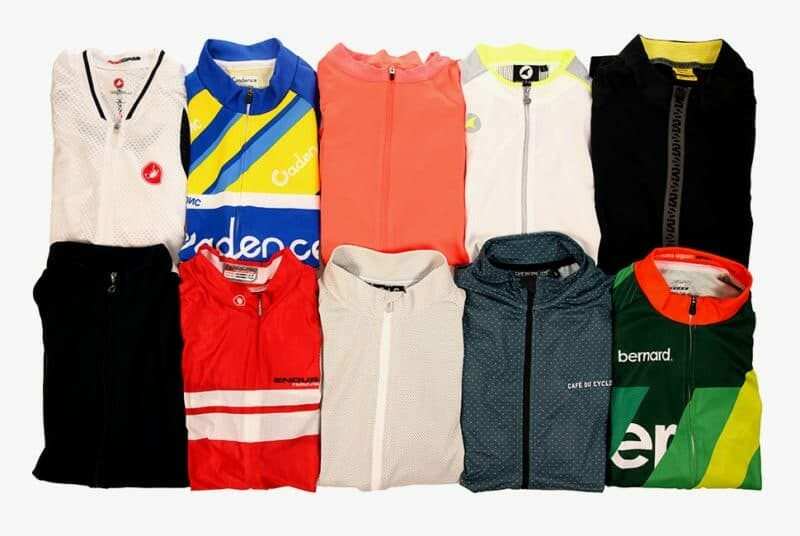 There are many pieces of cycling clothing out there for everything from your head to toe. To make things more complicated, there are different versions of each clothing depending on the weather. 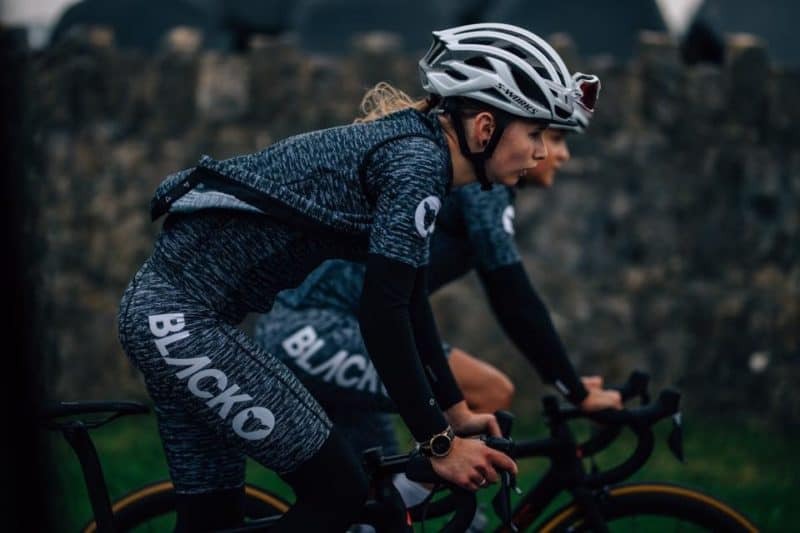 In this article, I’ll give you a detailed low down of what these clothing are, what they do and why you need them for road cycling. Cycling jerseys are widely available today. There are many brands out there and each with their own design. I’m sure there will be a few that caught your attention. In fact, the best time to buy cycling jerseys is during the Black Friday sales which happens in late November every year. I’d highly recommend you to wear a proper cycling jersey over just a regular t-shirt, or a sports t-shirt. Sweat Wicking. Your body generates heat and get hot as you ride. The harder you ride, the higher your core body temperature is. In order to cool your body down effectively, a cycling jersey has to wrap your body snugly to allow the sweat to exit. A regular t-shirt however, will soak up sweat, making it uncomfortable and would probably take forever to dry. Zippers. 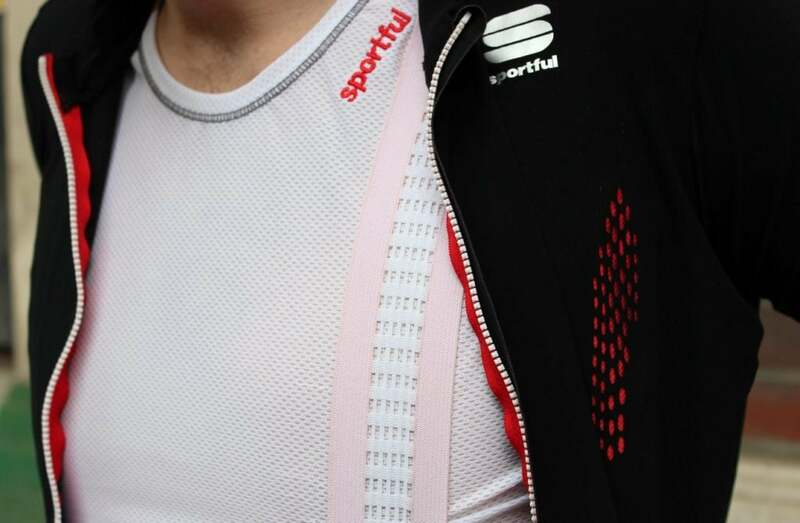 Unlike the olden days, cycling jerseys today have zippers which you can unzip all the way down to expose your chest when it gets hot. It’s the fastest way to cool your body down especially if you’re riding hard up a hill. Pockets. 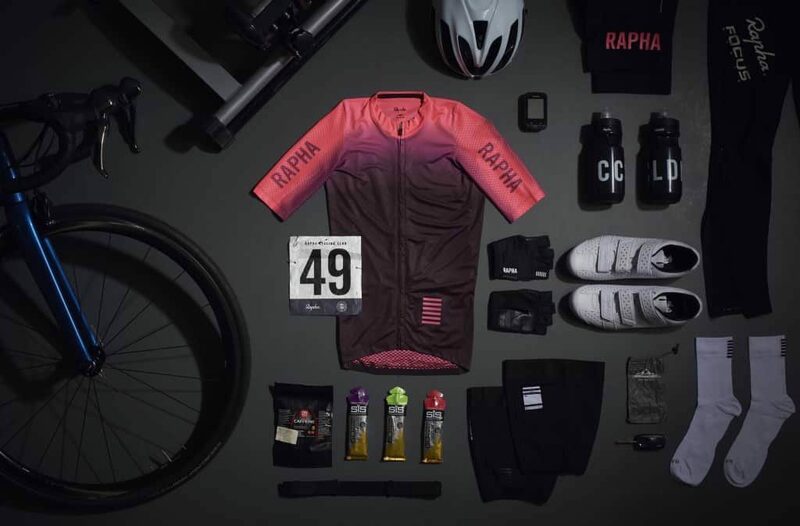 Every cycling jersey has 2 or 3 pockets at the back for you to store your essentials such as wallet, smartphone, food and wind vest. They’re easily accessible while you’re riding and don’t get in your way when you’re on your bike. Today, there are 2 main types of cut for cycling jersey – aero and regular. Aero. They’re called aero because they stick to your body like a second skin to provide you with aerodynamics advantage. In fact, they usually run slightly smaller to give you that body hugging feeling. Sometimes, they’re referred to as Euro sizing or Euro style. You might feel weird wearing them while standing up. But that’s normal because they’re designed to be worn on the bike. Regular. Compared to aero jerseys, these have slightly looser fit and would feel more comfortable especially when you’re off the bike. PRO TIP : If you’re out for a long ride, a regular fit jersey would be a better choice over the aero jersey. The bicycle saddle is not like your couch where you can spend the whole day sitting on it. 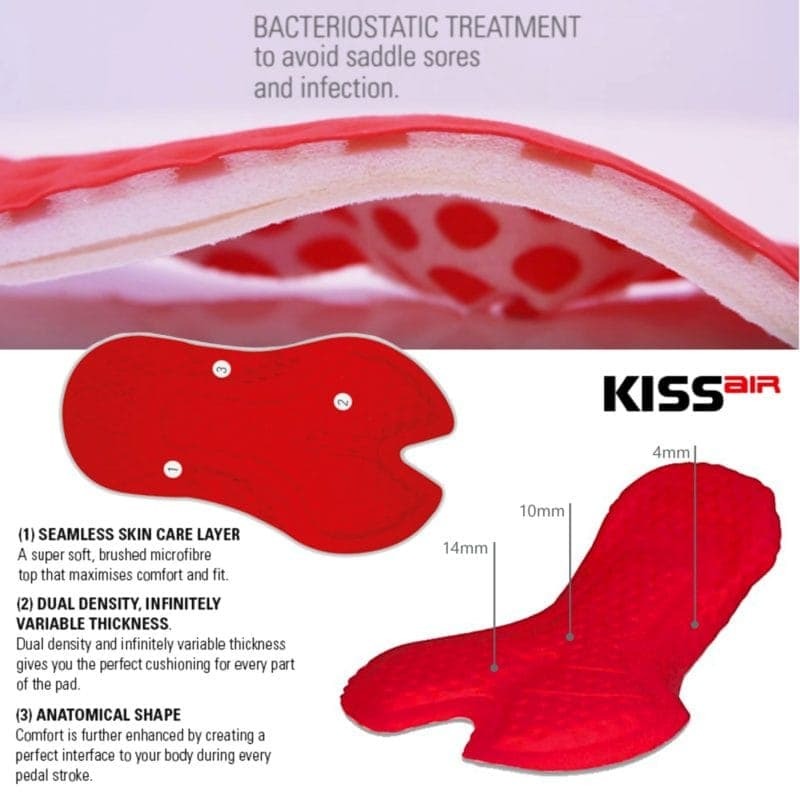 Even the most comfortable bicycle saddle suited to your pelvic shape would lead to some levels of discomfort if you’ve been sitting on it for over an hour. And that’s why you’ll need bib shorts for cycling. The Castelli Volo bib shorts is a good, value for money bib shorts for everyday use. Bib shorts have a piece of padding in it called the chamois, pronounced as shammy. 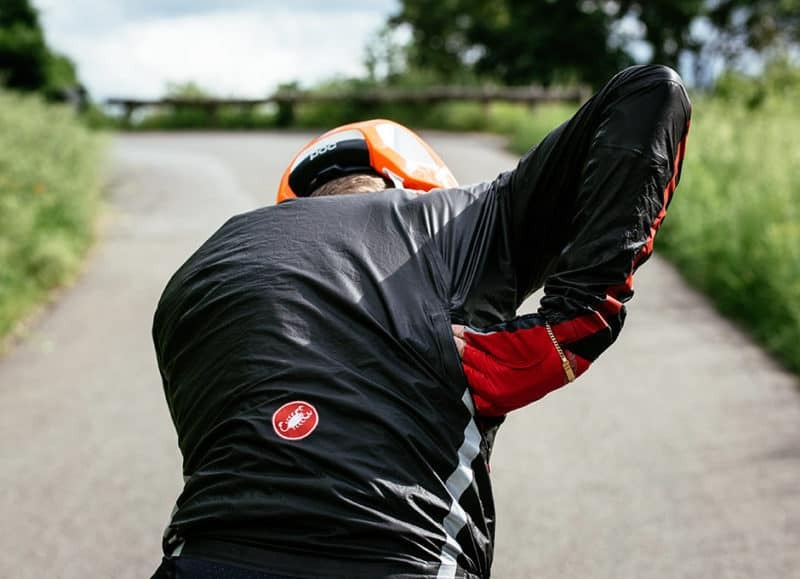 The chamois is a piece of padding which has varying thickness to provide comfort and support where it’s needed most. As both men and women have different pelvic shapes, so does the chamois size and width. Hence, it’s very important to buy the correct variation of the bib shorts. There are several variations of the cycling bibs with the main difference being its length and fabrics. Bib Shorts. These are the most common ones worn throughout the year except during winter. They have straps that go over your shoulder to prevent slipping and are made of thin, breathable materials. Bib Tights. They differ slightly from a bib shorts in two areas. It’s much longer in length and goes all the way to your ankles. Hence you don’t need to wear a knee or leg warmers if you’re wearing bib tights. Secondly, they’ve fleeced inner and are made of thicker fabrics for you to stay warm during the winter. 3/4 Bib Tights. They’re a shorter version of bib tights. Rather than extending all the way to your ankles, they reach to your calf muscles. Besides bib shorts, there’s also shorts. The main difference between these two are the straps on the bib shorts. The main purpose of the straps is to prevent the shorts from sliding down as you pedal. As you bend forward, the shorts tend to slide down, exposing your lower back. Not a good sight for the one riding right behind you. Trust me. The straps, combined with the leg grippers on the bottom of the bib short provide you with a snug yet comfortable fit. PRO TIP : Bib shorts are the preferred choice over shorts for road cycling. The base layer is a layer of clothing you wear beneath your cycling jerseys. It’s meant to be worn like a second-skin so that it can be at its more effective. This often overlooked piece of clothing comes in two variations; summer and winter. Summer Base Layer. Made of highly breathable, meshed fabrics, they help wick away sweat and moisture to prevent the sticky jersey effect especially when you’re drenched in sweat. Most, if not all are sleeveless. Winter Base Layer. These are thicker and usually come in either long or short sleeves. They keep your body warm and toasty by trapping warm air while wicking away sweat and moisture at the same time. PRO TIP : Base layers should fit to your body like a second-skin. Warmers are generally reserved for colder weather. You’ll quickly realise that your arms and knees get cold if you’re riding in temperatures below 15c/60F. Arm Warmers. They cover your arms from your wrist all the way up to just beneath your arm pits. The correct way to wear the arm warmers is to have them under the jersey’s sleeves. Knee and Leg Warmers. The difference between these two is the length. Knee warmers covers from thigh to the calf muscles while leg warmers extend all the way to your ankle. The correct way to wear these is to have your bib shorts over them and your socks under them. In general, all arm, knee and leg warmers have a layer of fleeced inner to provide you with insulation and warmth. In addition, some have a water-resistant outer coating which can repel away water when it rains. However, these aren’t fully waterproof and you’ll still get soaked if it rains heavily. Some of the reputable brands like Castelli calls it Nanoflex. Sportful calls it NoRain. PRO TIP : Knee/Leg warmers need to be worn together with arm warmers. Cycling jackets are useful especially when you’re riding in harsh conditions. It can be cold, wet or windy and that’s where wearing the right jacket is crucial to ensure you remain comfortable on the bike. Gilet. They’re ideal either when its windy outside, changing conditions or even light showers. Some manufacturers refer them as wind vest. The advantage of gilet is they can be folded into a small package and stores inside your jersey’s pocket when you don’t need them. Rain Jacket. They’re treated with a layer of coating called Durable Water Repellent, or in short, DWR to make them waterproof. To enable you to stay dry inside when it’s raining, the rain jackets are highly breathable. There are vents tiny enough to prevent rain droplets from entering while allowing sweat moisture to escape. Another important characteristic of rain jackets is the taped seams where all the sewing holes are sealed to prevent ingress rain droplets. Winter Jacket. Sometimes also referred as soft shell jackets, they’ve all the characteristics of a rain jacket. In addition to that, they have a fleeced inner to insulate you from the cold and trap warm air near to your body. Some have a longer tail to protect your lower back against road splashes when it’s raining. PRO TIP : Wear the right jacket for the right weather. 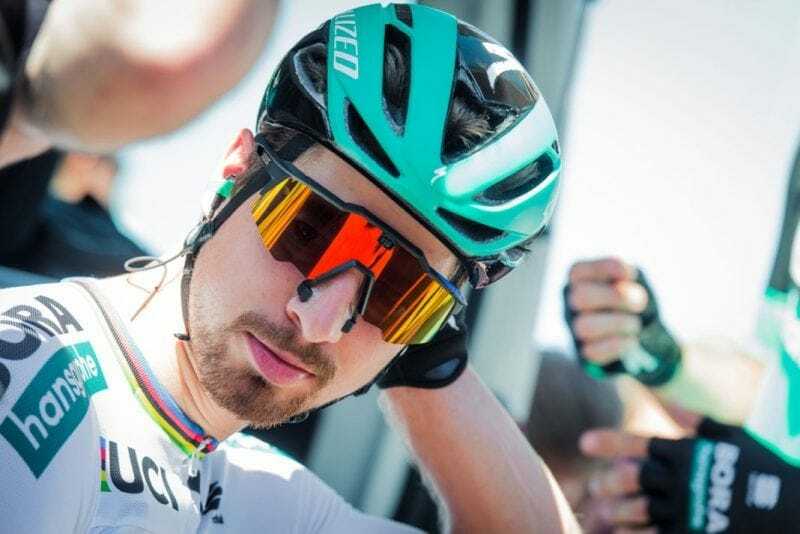 Cycling sunglasses play an important role in protecting your eyes not only from the dangerous UV rays but also dirt and sand that can be blown up during windy days. They also keep your eyes from getting dry which could cause irritation for some. But today, cycling sunglasses has extended beyond just safety and protection. It has become a cycling fashion statement as well. The most important part of a sunglasses is actually the type of lens. Generally, they can be grouped into three. Regular. These are lens that only allow between 10% to 30% of the visible light to pass through. They’re suitable to be worn during sunny days. Photochromic. The lenses’ tint changes according to the level of UV light. When the surroundings get dark, the lens allows more light to pass through and vice versa when it’s bright. They are the most versatile lenses to be used as they can be worn in a variety of lighting conditions. Clear. As the name implies, clear lenses don’t have any tints. They’re suitable to be used when riding in low light conditions in the early morning/late evening and during cloudy days. The Oakley Prizm Low Light Lens is one of the best around these days. PRO TIP : Always wear sunglasses to protect your eyes regardless whether it’s sunny or not. Cycling helmets can sometimes be a contentious topic in certain countries. For example, in the US, the law regarding the usage of helmets differs from each stage and also the age of the cyclist. In the UK, it’s not required by law to wear a helmet. While in Australia, it’s required by law for all cyclists to wear a helmet. Cycling helmets have sizes, just like the other clothing. It’s strongly recommended to get one that fits snugly around your head. Typically, they come in three sizes; small, medium and large. To fit a wide range of people, there is a dial at the back to loosen or tighten the fit. PRO TIP : For safety purposes, always wear a helmet while cycling and wear it correctly. When it comes to wearing summer cycling gloves, there are split opinions. Those who prefer to go without gloves generally wants to have a better feel and control of their handlebars. Those who wear gloves swear by it because it provides protection to your palms should you crash and there’s a Terry’s wipe on the gloves to wipe away your snort and sweat. Regular Gloves. They’re also called mitts or short fingered gloves. It all boils down to personal preference when it comes to the level of padding. Gloves with minimal padding gives you a better feel of your handlebar but less shock protection from harsh roads, and vice versa. Aero Gloves. These gloves are generally used for racing. They’re slightly longer than the regular gloves and extend up to your wrist, ensuring a smooth air flow and reducing drag. During the colder months, long fingered gloves is the way to go. There are several types of winter cycling gloves, depending on how cold it gets. Liner Gloves. Made of thin fleeced fabrics, they’re meant to be worn under a proper winter gloves to provide extra warmth. Merino Gloves. These are ideal for temperatures between 8c/46F to 15c/59F and only in dry conditions as they aren’t water-resistant. Neoprene Gloves. Similar to those gloves used for scuba diving, they’re fully waterproof and best used for very harsh and wet conditions. Do take note that they aren’t breathable and you might get sweaty palms if you’re riding anything more than 1.5 hours. Deep Winter Gloves. These gloves are bulkier than your standard gloves as they have a waterproof outer and fleeced inner layers. They can be used from anything below 8c/46F to sub-freezing temperatures. PRO TIP : Always wear gloves during the summer. 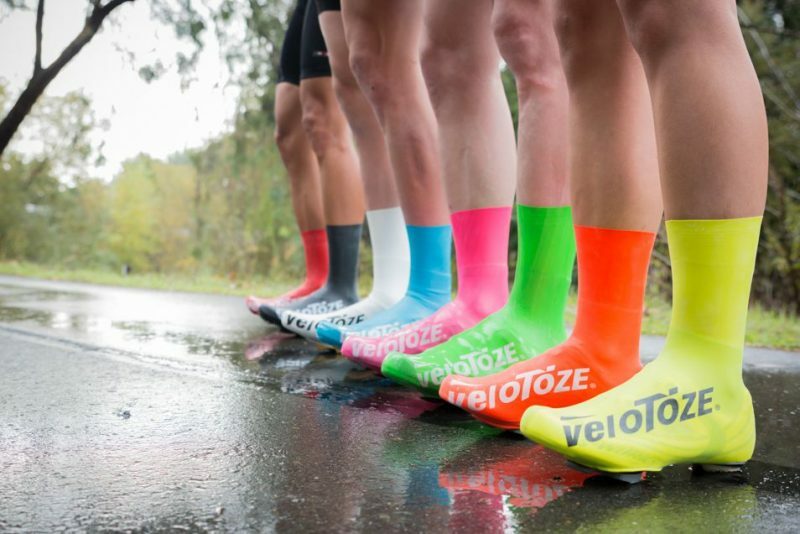 Cycling socks are one of the most talked topics when it comes to cycling fashion. There are many opinions when it comes to the sock length. Too short (below the ankle) and you’ll look like a triathlete. Too long (below the knee) and you’ll look like you’re wearing compression socks or playing soccer. In other words, they should be long enough to extend until the point where your calf muscles start to bulge. PRO TIP : It’s widely accepted that the sock length should be around 5” to 6”. It’s a wise decision to use cycling shoes instead of your regular trainers for a few reasons. Cycling shoes have solid soles, either made of plastic, carbon or a mixture of the two. They provide you with a stable platform to transfer your power effectively to the pedals. To use cycling shoes, you’ll need to get used to having your feet locked to the pedals when you’re pedaling. For newcomers, it usually requires a few practice before you get the hang of it. There are 2 types of cycling shoes in the market today – road bike and mountain bike. Both of them use a different cleat system as shown below. Road Bike Shoes. They’ve three holes placed in a triangle under the sole where the ball of your feet it. Most people refer them as the SPD-SL or Look cleat system. Mountain Bike Shoes. They’ve 2 holes placed horizontally under the sole and are generally referred to as SPD cleat system. Mountain bike shoes allows you to walk around easily as the cleat holes are embedded into the soles. PRO TIP : Wear a road cycling shoes if you’re riding a road bike. Shoes covers are meant to be worn over your cycling shoes. They’re made of waterproof materials to keep your shoes dry and clean when its wet. During the winter, they also prevent cold feet. They come in various length, depending on how much coverage they provide. Toe Covers. These only cover the front half of your cycling shoes. They’re very easy to slip on and off but doesn’t provide adequate protection during the wet. Shoe Covers. Protects your shoes and your socks from the wet. They can extend all the way up to the first bulge of your calf muscles. Some comes with zippers that make slipping them on/off easier. Oversocks. They’re basically a pair of socks made of durable fabrics that you slip over your shoes during the dry and cold days. Don’t use them during the wet as they’re not waterproof. PRO TIP : Wear shoe covers when it’s wet so that your shoes (especially white ones) are kept clean.